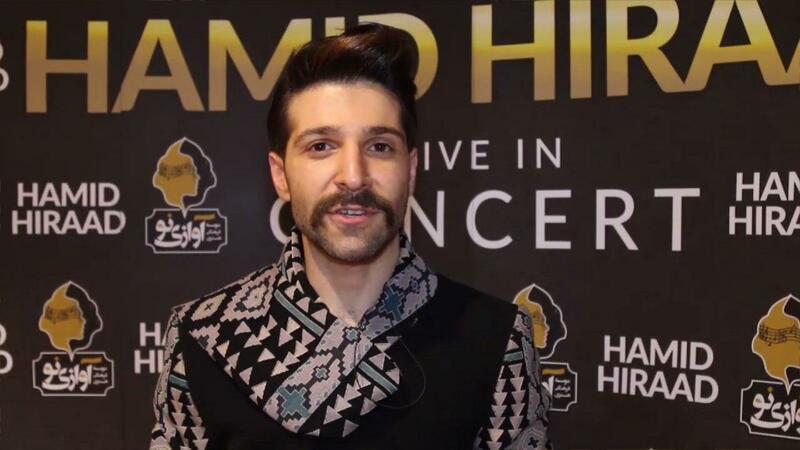 Iran’s Ministry of Culture has condemned a pop singer to hold a free concert after finding out that he had given a pre-recorded performance in one of his controversial concerts. The Supervision and Assessment Department of Iran’s Culture and Islamic Guidance Ministry announced that Hamid Hirad must hold a free concert in the southern city of Shiraz because he had used a playback during some parts of his earlier concert in the same city. Back in late July, a short clip of Hirad’s concert in Shiraz sparked public outrage on the social media as it showed the singer was not actually signing the song live, and was using a playback. Playback refers to a performance in which the singer only does lip sync with a pre-recorded song. This type of performance is usually used in TV shows or halls which are not appropriate for live concerts. In reply to the heavy criticisms levelled against him, Hirad invited reporters to attend his next concert to make sure he sings and performs live. He did his best to prove to his audiences during the concert that there is no playback at work in his concerts. Despite his efforts, criticisms against his Shiraz concert scandal never faded away. The concert scandal was not the first controversy surrounding Hirad. He had earlier grabbed the headlines after being accused by a large number of songwriters of plagiarism. They maintained that unlike what Hirad claims, he was not the writer of his songs. They said the singer has used their poems after changing their words and lines. The accusations made the concert scandal even more controversial. However, some pop singers put their weight behind Hirad saying that the opponents are seeking to tarnish his image as a thriving pop singer. Now a probe by the Culture Ministry reveals that Hirad used playback in some parts of his Shiraz concert. “Till now, we had no report on use of playback during concerts and it seems the Culture and Islamic Guidance Ministry should introduce some regulations in this regard,” said Majid Foroughi, the Head of the Public Relations Department of the ministry. Meanwhile, Mehdi Ranjbar, a Deputy Head for Art Affairs at the Culture and Islamic Guidance Department of Shiraz, said Hirad is set to hold a free concert in the city. He said except for the free concert, Hirad has been banned from holding any concert in Shiraz until the end of the current Persian year (due to end in March 2019). The sentence comes as many other Iranian singers with more popularity compared to him had used playback during their concerts. After Hirad’s concert scandal, some of them confessed to using it and some others preferred to remain silent not to have their image tarnished.